The mural of Chandni Chowk dominates the room. 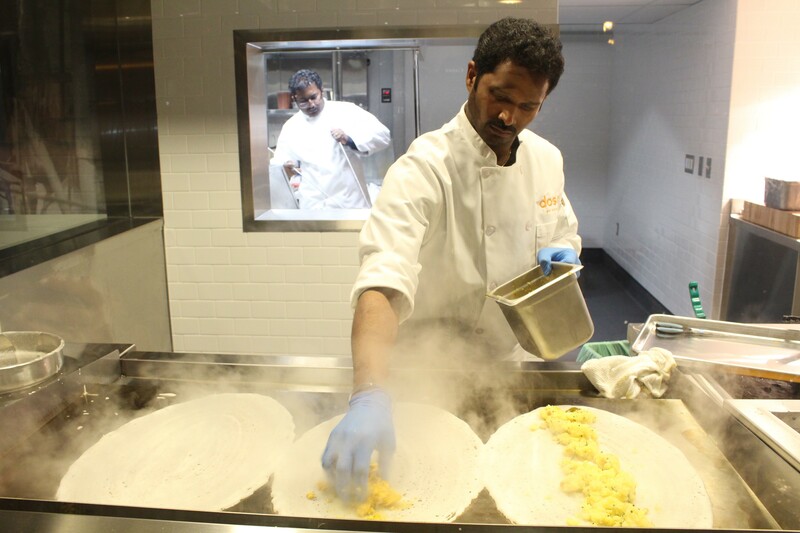 When the first DOSA opened in San Francisco in 2005, the concept of upscale Indian food — with detailed plating, spice-driven cocktails, and a hip setting — was radically novel. The restaurant also introduced many to the wonders of South Indian cuisine. Understandably, it was an immediate hit, spawning a second San Francisco location and, now, dosa by DOSA (2301 Broadway) in Uptown, Oakland's The Hive. It opens Friday, Dec. 15. The fast-casual companion to DOSA still focuses on its namesake dosa — the paper-thin, South Indian pancake made of rice and lentils — but also whips up crowd-pleasing wraps, rice bowls, salads, and street food-inspired small plates. Eating with your hands is encouraged, and the most expensive items on the menu are $13.95. Vegans and gluten-free eaters also have plenty of options here. 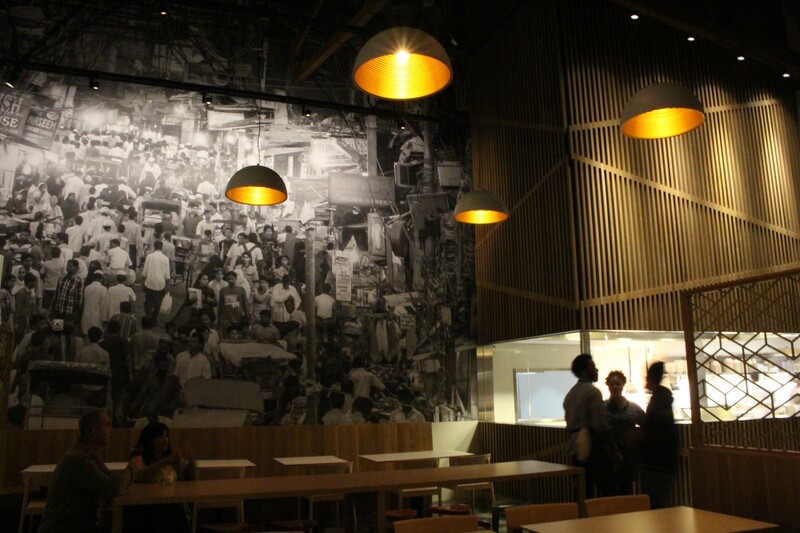 Owners Anjan and Emily Mitra wanted to channel the energy of open air markets in India with dosa by DOSA's design. There’s an enormous mural of Chandni Chowk, one of India’s most famous markets, and an open kitchen centered on the dosa grill. With its high ceilings and sharp edges, the place is certainly loud like a market, but it’s also a little too gorgeous and modern for the comparison to feel accurate. It’s easily the most upscale-looking “fast-casual” restaurant I’ve seen in Oakland. Open daily for breakfast, lunch, and dinner, dosa by DOSA makes hot masala chai, a variety of lassis, sugarcane juice, and an impressive host of cocktails via bar manager Nora Furst (Lolinda, Delarosa) with ingredients such as green curry leaf, coconut, and fenugreek. At the opening party Wednesday night, the drinks were impressively balanced and the spicy dishes packed serious fire. Even though the Mitras are going fast-casual, it doesn't seem like they're watering down their flavors.